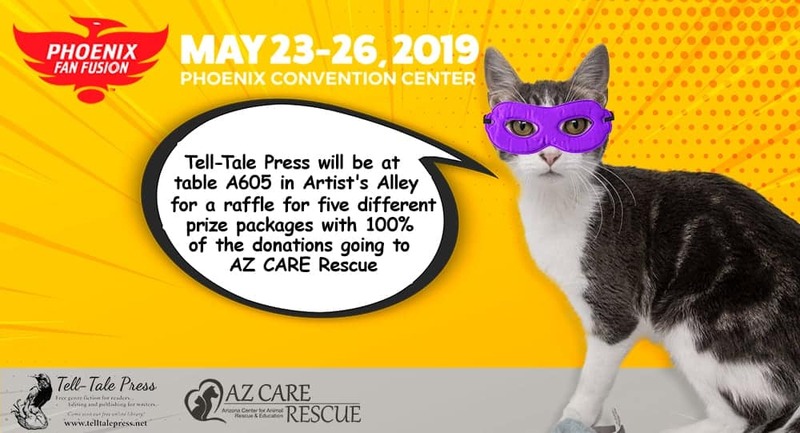 Tell-Tale Press will be at table A605 in Artist’s Alley at Phoenix Fan Fusion May 23-26, 2019. We will have an interactive computer to show you how the library works and will be selling book bags, zippered pouches, and dice bags. Most importantly, we will have a raffle for five different prize packages with 100 percent of the donations going to AZ CARE Rescue. Check out www.phoenixfanfusion.com for tickets!